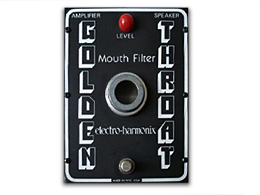 There are a total of 4 products to the Electro Harmonix Golden Throat Series. 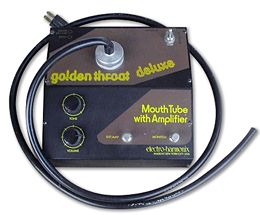 Because Roger Troutman used the Golden Throat I, it is commonly referred to as a reference for talkboxes. 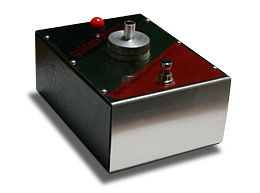 The high power 100W compression driver produces a straight and true resemblance of the sound. Unfortunately, they are no longer manufactured and auction sites like eBay would be your best choice if you would like to purchase them. Talkboxers around the world are also in search of these drivers so it could be priced fairly high. Moreover, it is possible the original compression driver was damaged and was replaced with something other than Electro Voice 1823M, so make sure you check before you obtain one. Copyright 1998-2019 GF WORKS. All Rights Reserved. All information, contents, pictures, logos, illustration, designs, audio data, etc. on this web site is protected by copyright law. Copyright belongs to GF WORKS, the photographer, the author, or the provider and prohibits the use, duplication, compilation, translation, transfer, publishing, and distribution of these contents without permission. Please use the contact form for inquiries to the administrator of the web site, GF WORKS.